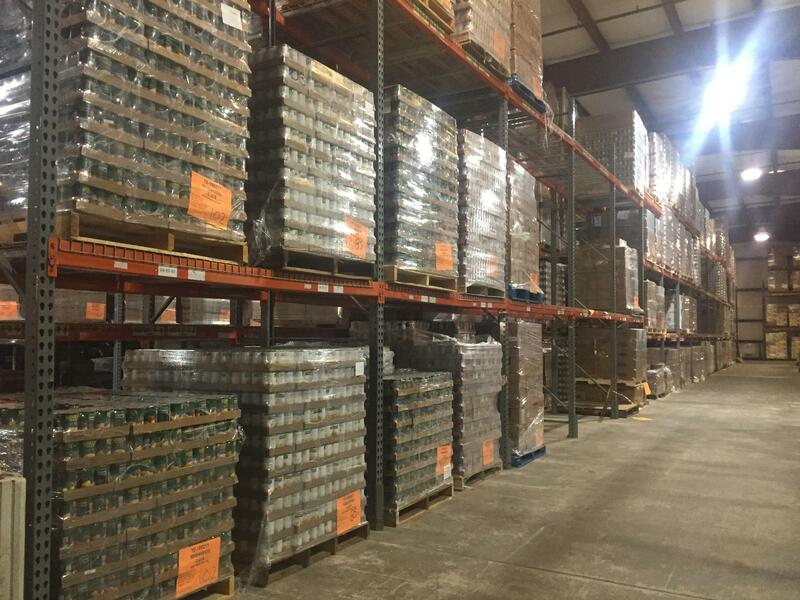 Pallets of canned good to be distributed wait in the Second Harvest of the Big Bend warehouse December 4, 2018. Second Harvest has been growing at a pace to distribute about 38 percent more food than it did three years ago. Its CEO, Rick Minor, says in 2016 the agency was circulating roughly seven and a half million pounds of food per year. This year is on track to finish off at about 12 million pounds – and the food bank is doing it with the same number of staffers. "We’re doing pretty good in terms of our inventory, but we need the resources to maybe hire another driver," Minor said. "Or hire another person who can operate the forklift. You know, we could have a lot of food in our warehouse, but if we don’t have the funds to help us actually get the food to people that need it, it’s really difficult for us to do that." Right now, there are 27 employees on staff. And Minor says monetary donations over times of peak demand like the holiday season help the food bank meet the need. That helps to not only secure food groups that there may be less of in the reserves – but to add human capital. "The monetary donation is really what helps us the most. Because it allows us to fill in the gaps of some of the other supplies we have with food. For example, we might have enough donated turkeys to give to families. We might have a lot of stuffing - but we might be short on some of the canned vegetables," Minor said. "With monetary donations, we can identify that gap in the food product inventory that we have, and make sure we can fill in those gaps." For those who are food insecure, Minor says need is increased during the holiday season, joining summer months as times of peak demand. Currently, Second Harvest is gearing up to provide support for out-of-county nonprofits serving areas hammered by Hurricane Michael. "A lot of those agency partners that we work with, the churches, the shcools, the other nonprofits in those counties - we've been distribnuting to them since Oct. 11, a day after the hurricane," Minor said. "So a lot of them have their supplies pretty high. But we expect over the next two or three weeks that we're going to start to see their food inventory decline a bit, and we're going to need to replenish that." The Florida Department of Health is appealing a court ruling that could upend the state’s medical marijuana industry.